The John Lauchlan Memorial Award is a cash award that exists to perpetuate the bold and adventurous spirit that John Lauchlan exemplified in his mountain exploits. It strives to promote the development of Canadians seeking a technical climbing challenge at an international level with financial support that non-commercial expeditions have difficulty accessing. John Lauchlan (1954-1982) was a pioneer in setting new standards in climbing both in Canada and internationally. 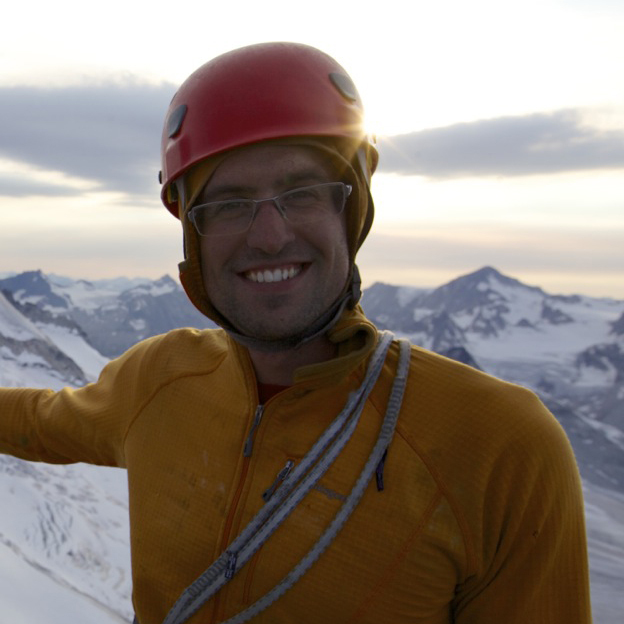 John was born in Winnipeg, but would eventually move to Calgary with his family where he became a leader and a pivotal member of the Calgary climbing community after high school. With his bold vision and commitment he made numerous first ascents of alpine routes and ice climbs in Canada, including the southwest buttress of Mt. Logan, the North Face of Mt. Kitchener, Takakkaw Falls and Slipstream. Internationally, John would go on to repeat the MacIntyre/Coulton Route on the Grandes Jorasses, the North Face of Les Droites and complete the Gabbaroux Couloir Route on Mt Blanc solo. In 1980, John led a four-man expedition to Nepal to climb a technical new route on the south face of Gangapurna (7,454m), which is still considered one of the most difficult climbs done by Canadians in the Himalayas. Outside of his climbing endeavours, he was essential to the co-op we know today as MEC and to Canada’s largest mountain school, Yamnuska Mountain Adventures. John inspired everyone he met, as a climber, a teacher and a leader of his generation. The John Lauchlan Memorial Award aims to encourage and assist Canadian climbers who are following in the footsteps of what made John a pioneering climber - exploring new terrain and testing new limits. The award is aimed at small and self-sustained expeditions and objectives that involve technical climbing in locations that call for a level of boldness that only comes when pushing new territory. Michelle Kadatz and Angela Vanwiemeersch - 2017 JLA - Baffin Island. Raphael Slawinski and Alik Berg - 2017 JLA - Pakistan. 2016: Max Fisher and Fred Giroux - Homathko Icefield. “Eighteen Days of Solitude.” Fred Giroux. 2018 Canadian Alpine Journal. 2015: Anna Smith and Alison Criscitiello - Garwhal Himalayas. Steve Holeczi, Jay Mills and Eamonn Walsh - St. Elias Range. “Mount Wiesshorn.” Jay Mills. 2016 Canadian Alpine Journal. 2014: Mark Taylor, Kris Irwin, Darren Vonk and Ian Welsted - Revelations Mountain Range in Alaska. “Revelations.” Kris Irwin. 2015 Canadian Alpine Journal. 2013: Paul McSorley, Joshua Lavigne and Jason Kruk - Garwhal Himalayas. “Thalay Sagar.” Paul McSorley. 2014 Canadian Alpine Journal. 2012: Carlyle Norman and Cian Brinker - Patagonia. 2011: Chris Geisler and Jason Kruk - Patagonia. “Cerro Torre.” Jason Kruk. 2011 Canadian Alpine Journal. 2010: Chris Atkinson and Chris Jones - Thangla Range in Tibet. Do you have a trip that would qualify for the John Lauchlan Memorial Award? Submission deadline for award applications is September 30th each year. The award period covers endeavors starting December 1st through to November 30th the following year. Award amounts are based on funding, and the budget requirements of each particular trip. Recipients are announced at the Banff Festival of Mountain Films, held annually on the first weekend of November.